Compatible Kyocera Mita Toner Cartridge, Black, 35,000 page yield. Replaces Kyocera Mita part number: TK-6307, TK6307. Laser Toner Cartridge compatible with Kyocera Mita TASKalfa 3500i, 3501i, 4500i, 4501i, 5500i, 5501i. Genuine OEM Kyocera Mita Toner Cartridge, Black, 35,000 page yield. Kyocera Mita part number: TK-6307, TK6307. Laser Toner Cartridge compatible with Kyocera Mita TASKalfa 3500i, 3501i, 4500i, 4501i, 5500i, 5501i. Genuine OEM Kyocera Mita Toner Cartridge, Black, High Capacity 46,000 page yield. Kyocera Mita part number: TK-6307H, TK6307H, 1T02LH0US2. 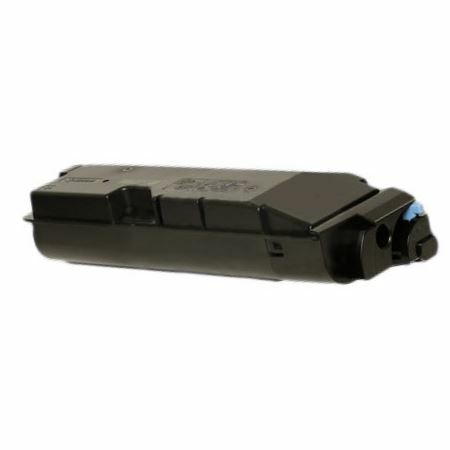 Laser Toner Cartridge compatible with Kyocera Mita TASKalfa 3500i, 3501i, 4500i, 4501i, 5500i, 5501i.